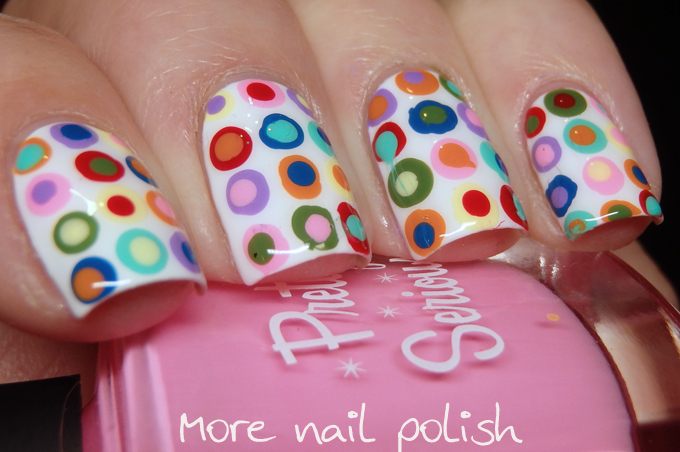 Gee we are getting close to the end of the year long 40 Great Nail Art Ideas challenge. We started with about 60 participants, but every week now it seems to get smaller and smaller, and I think we are down to about 10 regular participants now. This week's theme is inspiration, which is a really broad theme. Sometimes with really broad themes it can be more challenging to think up a design to do. 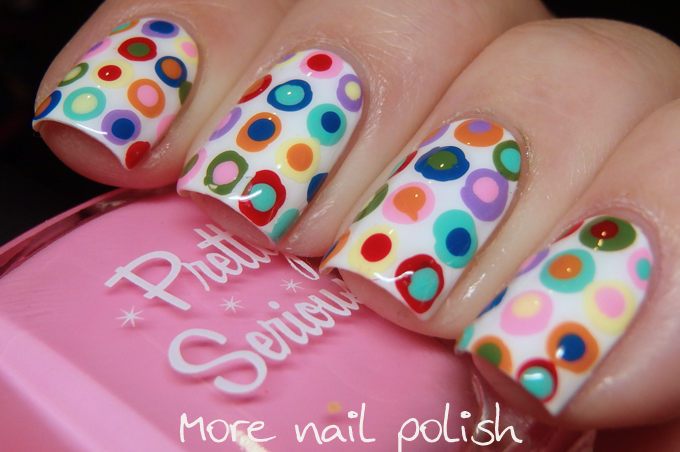 I ended up doing some google image searches for nail art until something caught my eye. Something did catch my eye, and when I did a reverse google image search on the image, I discovered it was created by YouTuber Have Less Travel More - previously know as Juliatmll. 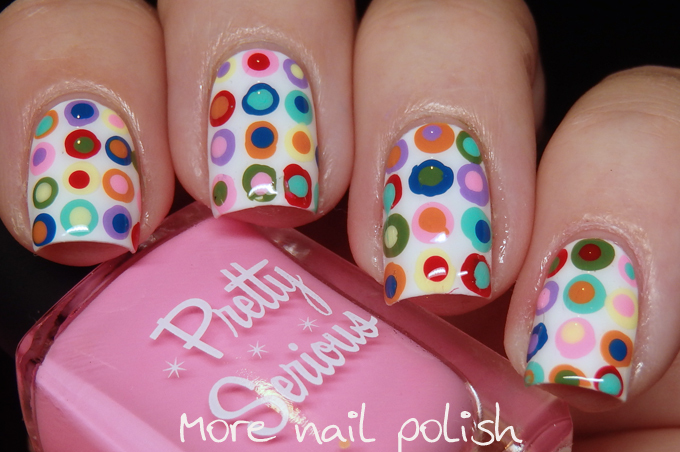 The reason this design struck a chord with me was that it was an intense dotticure, and dotticures remind me of the lady who organised this whole nail art challenge about this time last year - the Crumpet. 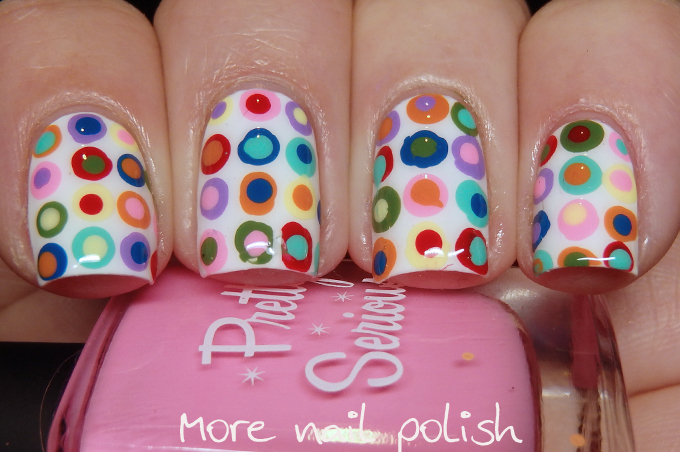 So my inspiration nails go out to the lady who inspired us to take on this monumental year long nail art challenge. Oooohh, these look so happy with all those colors!